We keep this class moving along to accommodate short attention spans (the instructors.) No station lasts more than ten minutes. We are certainly not looking for perfect technique with these little guys. Instead we want to get them fired up about flipping upside down, jumping and rolling. We want to develop an "I can do it" attitude. No mom or dad out in the gym anymore. This is a real gym class where we focus is on developing motor confidence and body awareness. After a fast paced warm up game we challenge everyone with a motor coordination challenge. Some weeks we use balls, other weeks you'll see hoops or perhaps the big parachute. We like to mix it up and try new things every week. Then we start tumbling. We always spend about ten minutes working basic floor skills like rolls and jumps. This is the fun stuff they can show off at Grandma's on Sunday afternoon. Next we take off to the apparatus. We go to two different stations each week. Some weeks might see us on the bars and beams. 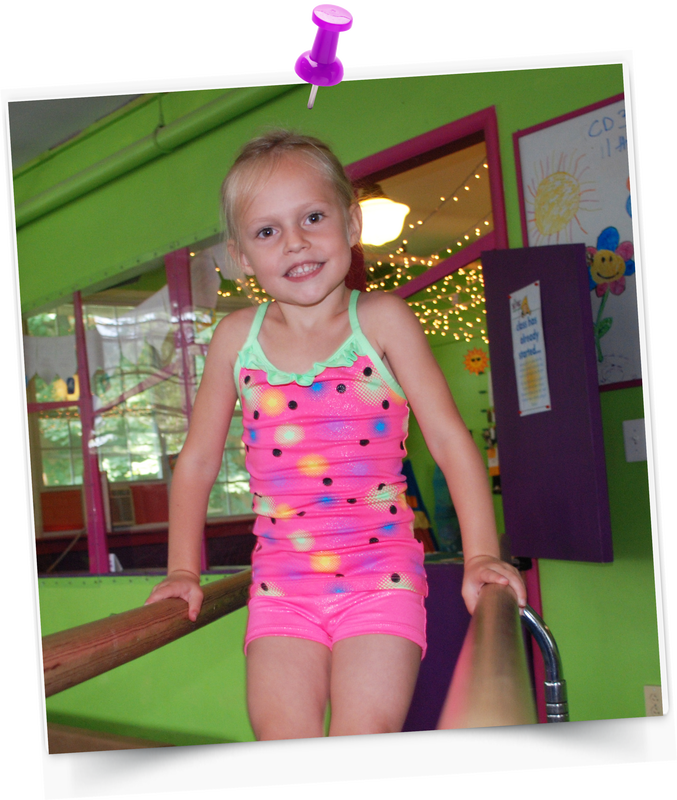 Other weeks we may be jumping over the vault or bouncing on the trampoline. To wrap things up we all get together on the floor again and talk about what we learned today.